Yesterday we went to Epcot. to the depot where we switched to the bus that would take us to Epcot. About 20 minutes total travel time and we were at the gate… not bad. Once inside we did a few of the attractions… the lines were not long at all. Our longest wait was about 20 minutes. pre-reserve a time slot - show up at that time and not have to wait on line. are flying in an ultralight over many scenic areas of California. Kate liked it so much that maybe… just maybe… we'll have to get an ultralight. Since I'm a pilot it's not as crazy as it sounds. Round the World Photo Shoot. We had Mittagessen (lunch) in Germany. We had Ice Cream Cones in France. Everyone was on their cell phones. The kids were playing games on the phones. We thought… hummmm come to Disneyworld to play games on the cell phone. use of all the transportation modes… Water, Bus, & Monorail. We've been taking advantage of this efficient system since we arrived. On the way out of Epcot we took one more shot. 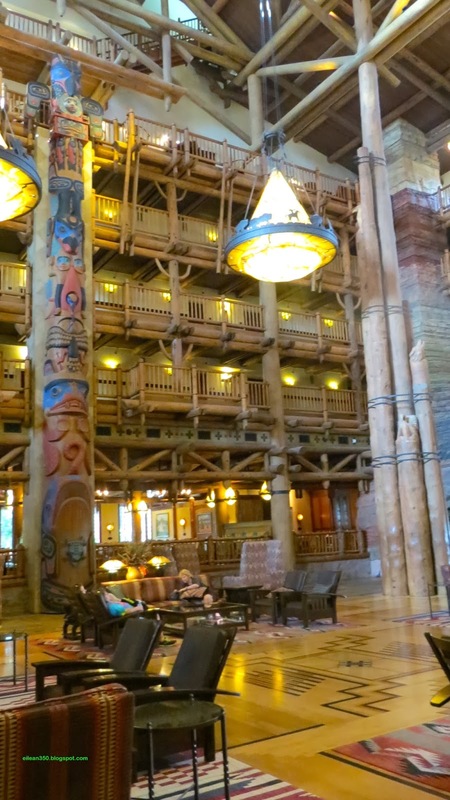 Last night for dinner we went to the Artist Point Restaurant in the Wilderness Lodge. It required a short (7 minute) boat ride from the beach here. Not being real fish lovers we both opted for the Fillet. First was the Smokey Portbello Soup. 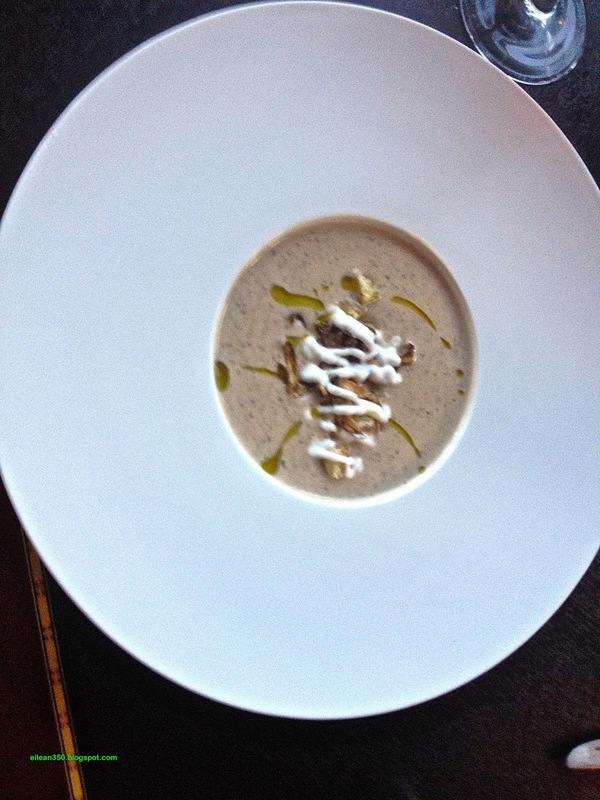 With Shiitakes, Chive Oil and Sourdough Croutons. Tender, medium rare and perfectly cooked. and Horseradish-Boursin Cheese Compound Butter. It was the best meal that we've had since we dined in Napa. and Kate had the Vanilla Bean Creme Brule Trio. We both had French Press Coffees. the Magic Kingdom. The fireworks are accompanied by music and are in sync. The perfect end to a great night. over to Disney Hollywood Studios. winging it and seeing what the day brought forth. A metal coaster with several inverted sections. off so I thought it best to forego the Tower and its 10 story drops! Soon she was back to her usual self and striking a pose in front of this Caddie. resort properties. Each one has a different theme and we thought it would be fun. We jumped a bus to Epcot where we caught the Monorail to the Transportation Center. From there we jumped a Riverboat to Magic Kingdom. continuing service to the South Seas Resort. at the Tiki Bar by the Pool. Pretty Nice! We stopped for this shot with the pool behind us. You can see the Magic Kingdom Castle off in the distance between us. Walking around the pool you can go thru this tunnel where a waterfall cascades. I thought I'd show you a few of the different ferries. Fort Wilderness - the Campground. Again - The Grand Floridian is in the Background. This one is running between the Contemporary Resort and Magic Kingdom. The Contemporary Resort is a stop on the Monorail route. It actually runs thru the hotel. At the top of the Contemporary is the California Grill Restaurant. One of the finest restaurants in Disney World. You can have an upscale dinner while watching the fireworks. but have decided that we just need to give our waistline a rest. without ever actually setting foot in the theme parks. If you are not visiting Disney with Rug Rats the parks lose a lot of their appeal. We might come back here to do just that. I'm sure we will cause I've put it on my ever growing list. Well tomorrow we are back on the road. I have to say we had a great time. It actually felt like a real vacation for two days. A couple of days of Fantasy, food and fun. Yesterday we sadly left our beautiful spot on Key Largo and headed North. While there we enjoyed some visits from the local wildlife. A snowy egret stalks his morning meal. Packed up and ready to leave I took one last parting photo of our beautiful site. Then we were back on the road. getting a well deserved mid winter thaw. take a single picture… Sorry folks. who is 8 months younger and shares lineage with our Lucy Doodle. Cheryl does an amazing job keeping Lilly well groomed. Compared to our two Desert Rats Lilly was in a class by herself. Confucius said: "Choose a job you love and you will never have to work a day in your life"
work with great people, and am able to do my job while traveling and writing. and now are at Fort Wilderness in Disneyworld. Checking in is unique in that you don't' even have to leave the truck. It seems more like a State or National Park Campground than a commercial park. The price tag however SCREAMS Disney! Our site is large, full hookup, and private. Cable included - I have my Satellite dish out regardless. After we settled in we decided to check out the nearby locales. decided to start trying to squeeze out our moneys worth. large hotel reminiscent of the Great National Park Lodges. A quick self portrait in front of the Lodge. Inside it seems a lot like the Old Faithful Inn. I'm sure it was the inspiration for the architect. Sitting inside felt like home… Like we were in Yellowstone. you are snapped back to reality. I took a few minutes to relax in the lobby and enjoy some people watching. While visiting the Lodge Kate picked up her very own Mickey Mouse Watch! for Dinner at the highly acclaimed Artist Point Restaurant. The Restaurant theme is based upon Pacific Northwest cuisine and wines. Tuesday will be Magic Kingdom. We should have some fun pictures and things to report tomorrow. We are now spending a few days in the Florida Keys. and tonight we are in a brand new RV Resort in Key Largo. Driving the Keys is an experience in itself. 60 miles to the Tortugas which are accessible only by boat or seaplane. and the Florida East Coast Railroad in the early 1900's. Building of the railroad is one of the great engineering marvels of the 20th Century. unstoppable and in 1912 - 82 years old and blind - Flaglers' dream was realized. Upon reaching Key West he said "now I can die happy"
He died one year later. the railroad as part of the New Deal. to the state of Florida to be used as a roadway. The Bahia Honda Bridge (below) is a great example of such a modification. The rail traffic was carried on the lower deck just above the cement pilings. The roadway was later added at the top of the bridge trusses so that it could extend over the sides. the top of the bridge trusses. 7 mile bridge (below) is the longest bridge on the overseas highway. Pigeon Key - in the middle of 7 mile bridge is bypassed by the new bridge. a ramp from the 7 mile bridge led travelers onto the key. It originally served as a work camp during rail road construction. 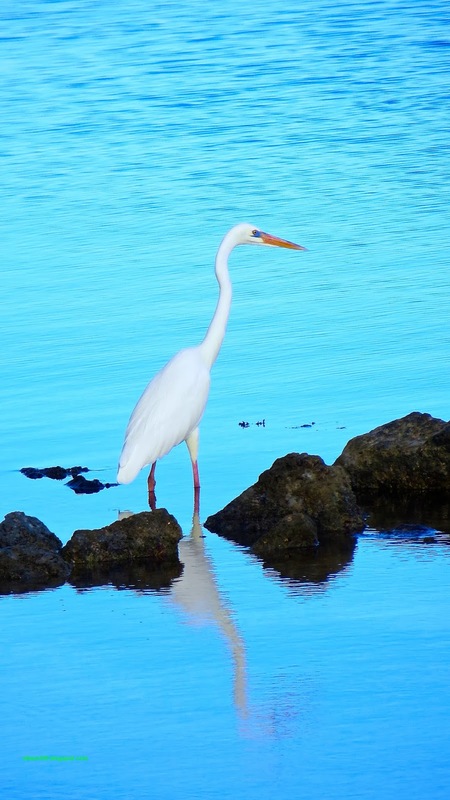 we stopped for two nights at Point of View RV Resort in Key Largo. Another view from our site. Yep… this place is pretty nice. my wallet is not large enough. We'll stay here tomorrow and then we head back north up the east coast of Florida. On Sunday we moved from Tampa over the the Southeast Coast of Florida. Bobby and Lesley for Brunch at a Cracker Barrel on I-75..
Bobby & I owned the same sailboat models… only a few hull numbers apart. They were on the way to pick up a new puppy…. an exciting day for sure. It was a quick visit but always nice to see them. My last time visiting with both of them was Christmas eve on their boat in Grenada..
the beers and Shepard Pie we shared was a welcome respite. the Metro area in Farm Country. The Park is Miami Everglades Rv Resort. and have been spending the last month in the Coconut Grove area at Dinner Key. Pan American World Airways flying clipper seaplanes that serviced Latin America. The old terminal building is now Miami City hall. Much of the area is now part of the City Owned Dinner Key Marina. A huge expanse of docks and mooring fields. year being the 50th anniversary. There was amazing displays presented by artists from all over the world. Then today we shifed gears. 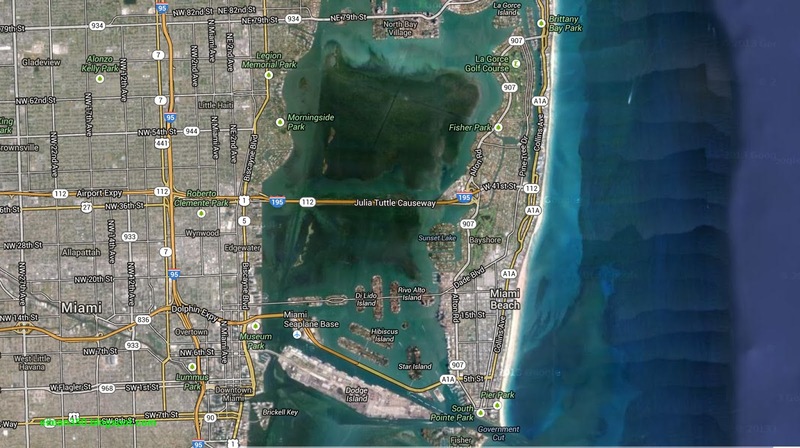 On the map below you can see Miami to the left and Miami Beach to the right. Collins Ave is the main beachfront road that runs north/south. In south beach it becomes the world famous art deco district. by tells you that you are in a special place. A place where the rich and famous come to play and be seen. But a great group none the less. South Beach is the scene of many photo shoots. we did our own photo shoot with a couple of very special models. We'll call it a wrap and go to print! The Doods are always a big hit wherever they go and today was no exception. of a South Beach Photo Shoot. They'll sleep well tonight. Sadly - once again it was time to say goodbye to Hayden & Radeen. We had a great time and as usual.. it passed way to fast. See you down the road my seafaring friends. We are off to the Keys.